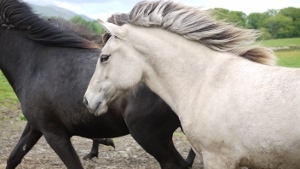 Icelandic horses were first used as riding horses in Scotland in 1950's but it is only in the last few years that they have become known as versatile and spirited riding horses to fit into a busy lifestyle. They are easy to manage and sensitive and light to ride. 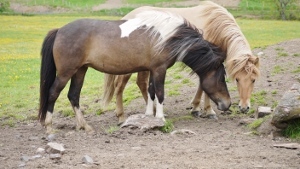 They are strong for their size (13hh-15hh) and have great stamina. They give you their hearts and ask in return to be kept in an environment as similar to their origins as possible. 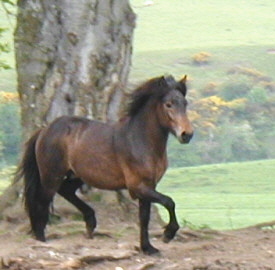 We realise that if we want to promote and share this unique gaited horse, we must introduce new enthusiasts to the breed. 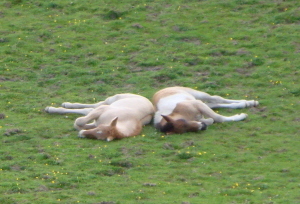 If the home is right and we feel the horse (and the new owner) will benefit from a sale, then this can be arranged. It is our aim to make sure that the partnership of horse and owner is a happy one right from the beginning and we are always available to provide after sales advice and assistance. Click here to see details of some of the horses we currently have for sale. 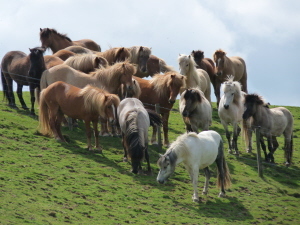 Youngsters here are properly reared in large groups with plenty of space to develop muscle and bone. 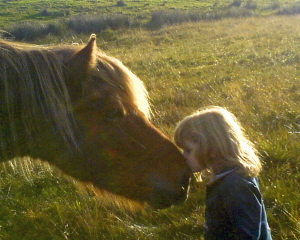 Human interference is minimal and they learn social disciplines from their friends as they play together in a very natural environment in the Pentland Hills. When training starts at four and a half years old, and more seriously at five years, they are keen, interested and love to learn. They are trained in a friendly but firm and calm way and become loyal and contented riding horses, responsive to very light aids and ready for whatever life will throw at them. Once they are properly balanced with rider on board, the gaits are trained using both the indoor arena and the natural terrain to achieve the best. 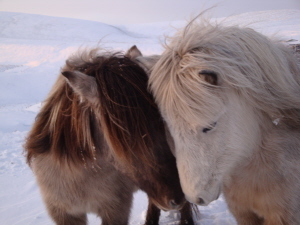 We passionately care about where and to whom our horses go. We want only the very best for them when they move on to a new home, so we are happy to make ourselves available should you need help or advice afterwards, for as long as it takes. If you buy a horse, we want it to work for both of you so we suggest you come and stay locally and ride with us for a day or two. We are very happy to give gaited lessons and to make sure the partnership is right from the beginning. It may be your wish to keep the horse at Windy Gowl permanently or you may wish to benefit from our help for a few weeks / months and develop a good relationship with your new horse. We are always very happy to help at any time. It is with great sadness I announce that Ísak died in a freak accident on 28th April 2012 aged only 8 years old. However, we still have his offspring, so the following information may be of interest. Ísak frá Efri-Brúnavöllum I is our current stallion and we are thrilled with him. His father Markus frá Langholtsparti is one of Iceland's top stallions, receiving 1st prize for offspring in the 2006 Landsmot and his fame goes before him. Ísak's mother Hreyfing is a very special mare who did very well at the 2002 Landsmot despite having had hardly any training. 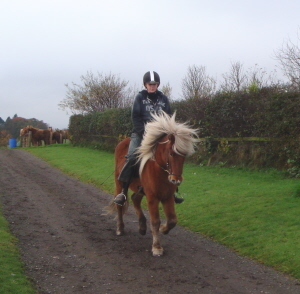 Ísak is now well into his training and is proving a fantastic horse to ride. His character is second to none and he is fast learning and extremely keen. His gaits are developing with great power and height and he just loves to work. He is siring consistently good foals with clear gaits and wonderful easy temperaments. 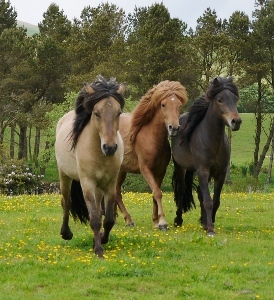 If you are interested in buying an Icelandic horse, please contact us to discuss your wishes and requirements, so we can advise on the horses we have available. Click here to see details of some of the horses we have currently for sale.